Sorry this post is a bit late! Sleek Brow Kit - I've been using this for ages now, but this month I've really been loving it, especially since I had my brows waxed last week, it just makes my brows look perfect. I went through a stage of not wearing so much product on my brows last month, where I would just wear a little bit of powder, but I'm back to fully defined brows now, and definitely not going back! 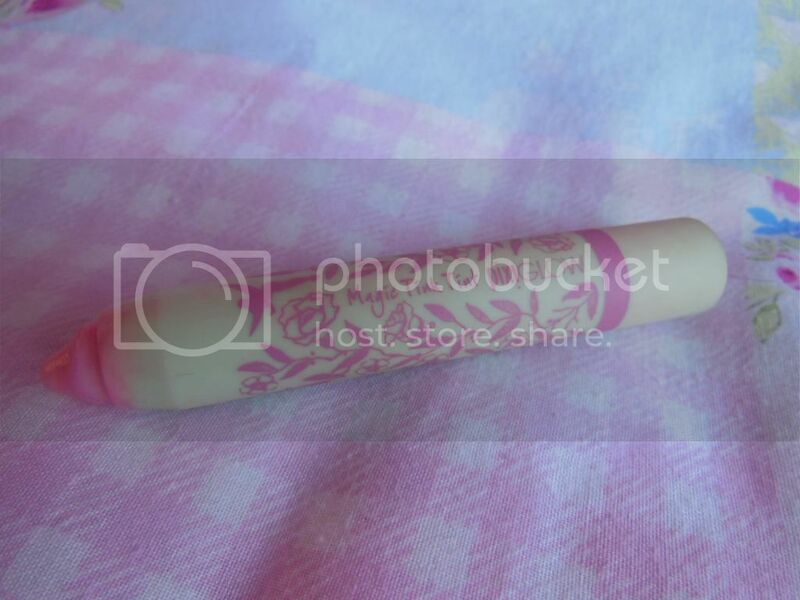 Pixie Magic Tink Tint - This has been my go-to product for daytime lips. It's like a cross between a gloss and a lipstick, and can be worn really subtle, or built up for a bit of extra colour. It's one of those products which seems to appear a slightly different shade on every person, on me it's a really pearly, soft baby pink. It smells (and tastes) like mint and I love the packaging of anything from Pixi, especially the Disney themed items - so cute! (You can see a swatch of this in the below picture with the Body Shop Eye Defence). Lush FUN - You can see my review of this here. It just smells sooooo good, and the smell really lingers on the skin, gutted I've only got a little bit left though! 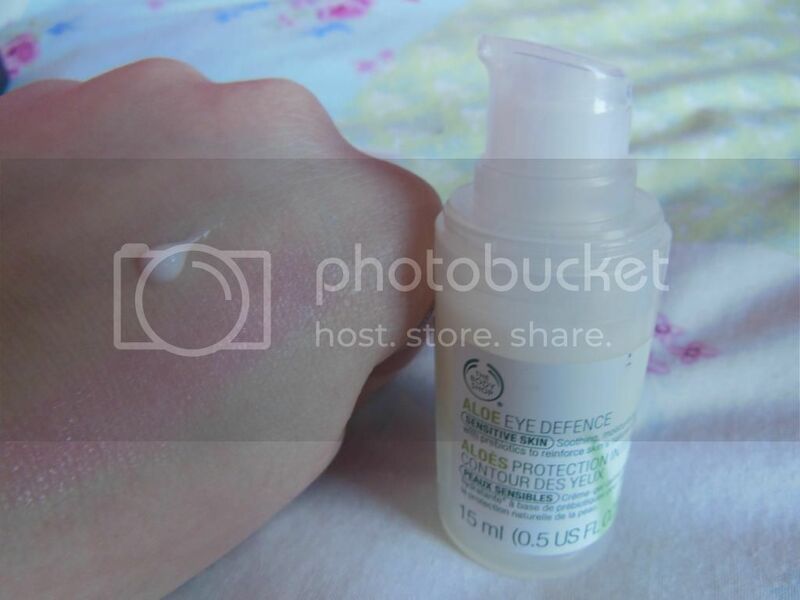 Body Shop Aloe Vera Eye Defence - This has actually been a bit of a lifesaver for me this month. When the weather is cold and windy, I really suffer from watery eyes, and the more my eyes water, the more I rub them, and they end up getting really sore. It got to the point where my eyes were red raw on the corners and really sore to touch. I went into The Body Shop in Middlesbrough and asked for some advice, and was given this to try. At £10 I was a little dubious, as I didn't want to waste my money, but it was totally worth it, and I will be buying more next year if the same thing happens again. I have a review planned for this in the next week or so, so check back for that. 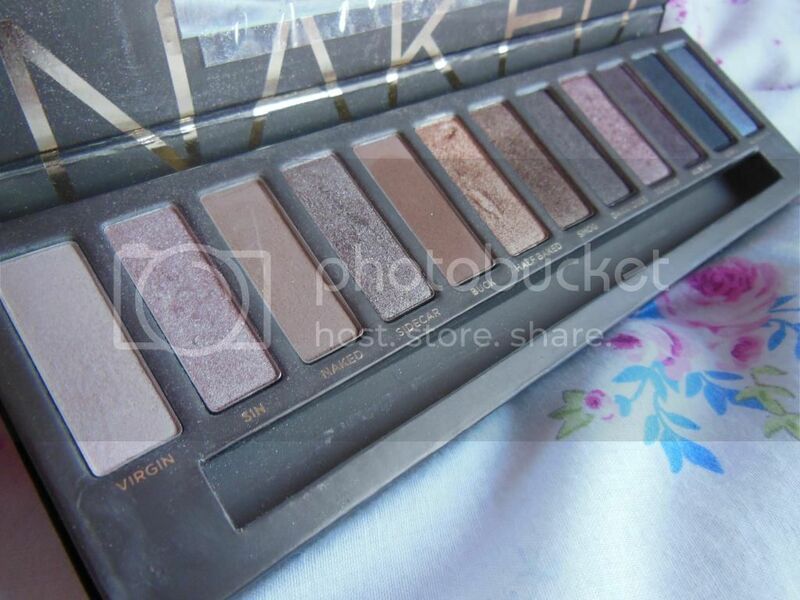 Urban Decay Naked Palette - Another product that I've had for a while, and rekindled my love for. I've been wearing Sin and Buck on my eyes during the day. I just love the quality and the colour of these shadows, they're all so highly pigmented and pretty. For someone like me who doesn't wear eyeshadow all the time, and likes the more natural look, this palette is perfect. 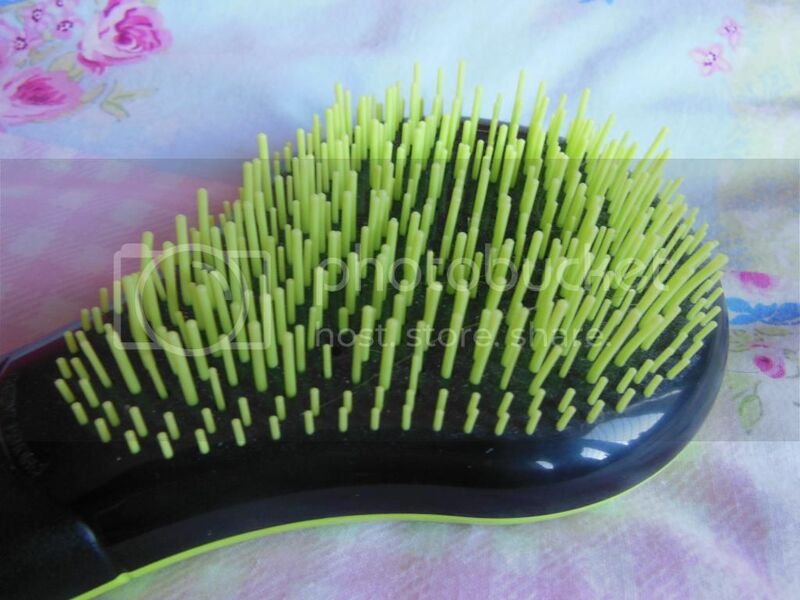 Michael Mercier Hair brush - I have to admit that I'm a bit of a minger when it comes to my hair... I never really brush it. A few months ago I was sent a Limited Edition Michael Mercier SAS Box (follow the link to buy, they're still available) which came with this brush, and some gorgeous perfume samples. The brush is known as the 'untangle your day' brush, and it's been amazing on my matted mess! I chose to receive the 'normal' hair brush, but you can also get brushes specifically for fine or thick/afro hair. Although the bristles on the brush are hard, it gently brushes through any tangles and knots and leaves my hair feeling really silky and soft... it's almost got me brushing my hair on a daily basis! 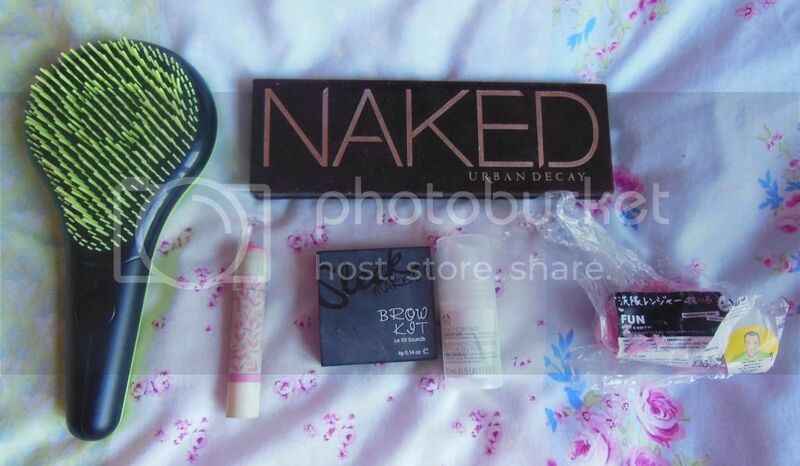 I would like to try the Naked Urban Decay ! I am just discovering the brush !